Settimana scorsa è stato rilasciato War in the West dalla Matrix. Non proprio un gioco per tutti, sia per prezzo che per impegno da metterci. Vedrò in futuro se prenderlo. Nuova DLC per Crusader Kings II prevista per il 16 Dicembre; Way of Life permetterà al giocatore di aggiungere nuovi elementi RPG al proprio personaggio. Fans of Crusader Kings II will be happy to note that the expansion, Way of Life, will be launching on December 16th. The expansion contains ten different focuses and gives players more of an RPG feel to their RTS in the form of new diplomacy options and more. • Rulership – Be a better king! • Hunting – Kill the beast! • Family – the most important thing, right? Combat Mission - Black Sea è in pre-ordine da qualche giorno. La lista delle features è davvero lunga quindi probabilmente varrà i soldi chiesti (anche se temo saranno più dei soliti 50 euro). Comunque belle immagini. Sul sito Matrix trovate nuovi screenshots per War in the West, il gioco è confermato per i primi di Dicembre. Paradox ha annunciato che Art of War sarà disponibile dal 30 Ottobre. La prossima DLC per Crusader Kings II, Glory of Charlemagne, sarà rilasciata ufficialmente il 14 Ottobre. E' stata confermata l'uscita di Gary Grigsbys War in the West per Dicembre 2014. Il successore di War in the East sarà ambientato dal 1943 al 1945. Su La Gazette du Wargamer trovate una preview di To End All Wars, il previsto titolo Ageod sulla Prima Guerra Mondiale; interessante l'elenco delle features, alcune riprese pari pari da World War One sempre dell'Ageod. Game map is divided into more than 3,000 regions, with a variety of terrain, climates and development level. Scenarios: 1 tutorial and 2 main scenarios of the whole war (historical start in August 1914 and open start with players choosing their own warplans). Historical leaders: Over 1600 historical leaders each rated on their abilities and over 900 different types of units from infantry, to cavalry and artillery to aircrafts and battleships! Production: Control your nations spending on the military, economics, research and diplomacy through a few simple-to-understand assets and production centers. Regional Decision Cards: The game has an innovative card system that lets you trigger events such as Spies, surprise attacks, key trench warfare aspects, technological or tactical breakthrough and, if played wisely can affect the flow of a campaign. Technology over time the technologies available will be upgraded using both the event and cards system. Chain of Command allows units to be organized in to brigades, division, corps and armies and leaders put in command of them. Per quanto il titolo sia godibile che senso ha spremere un'idea che non ha margini di miglioramento se non minimi e che non giustificano un titolo tutto nuovo? Direct from the hand of Caesar – The first two chapters of the campaign, “Migrants and Conquerors” and “The Bravest of These” follow the conquests of Julius Caesar in Gaul as he wrote them in Commentarii de Bello Gallico. All new map – Explore over one million square kilometers that are seamlessly zoomable, from the Mediterranean coast to the shores of Britannia. Improved graphics engine – Hegemony Rome supports 10x the terrain detail over previous installments and features a diverse and immersive landscape to explore. Build an empire – The construction system allows players to build forts, walls, and bridges at thousands of sites across the map to cement Roman control over the barbarian kingdoms. Promote your legions – Players can train officers to augment their unit’s skills as well as appoint governors and construct buildings to expand and improve their cities. Starve your enemies – Supply camps and logistics system makes sieges and supply lines more intuitive and more important than ever. With four Campaigns, six Scenarios, and three Sandbox Maps playable from almost 100 different regions, Supreme Ruler 1936brings the scope and sweep of World War II to strategy gamers. A Real-Time Geo-Political Strategy game, Supreme Ruler 1936combines resources, economy, diplomacy, and battalion-level tactical warfare. BattleGoat Studios would like to thank everyone that supported us through Steam Early Access and helped us to make Supreme Ruler 1936 the best game possible! Supreme Ruler 1936 is Real Time Geo-Political Strategy Game for PC (and soon Mac). 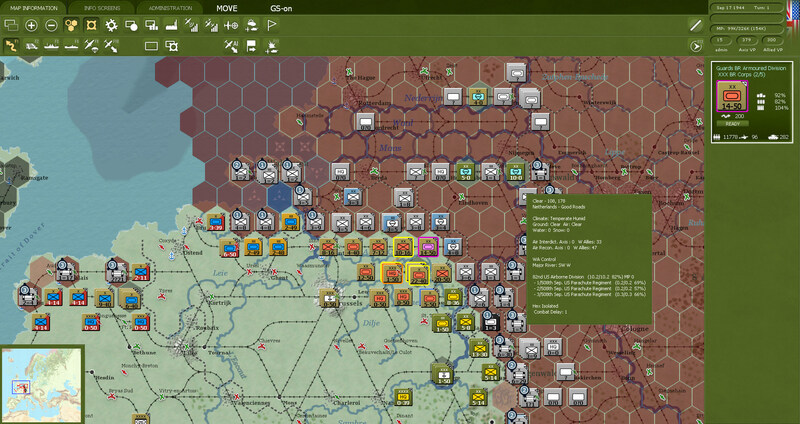 Take control of a nation in the World War II era and guide it through a significant Military Campaign, or attempt one of many Set-Piece Historical Scenarios. Players can also customize their play experience with the Sandbox Mode and play as any Nation with their own preferred Victory Condition. 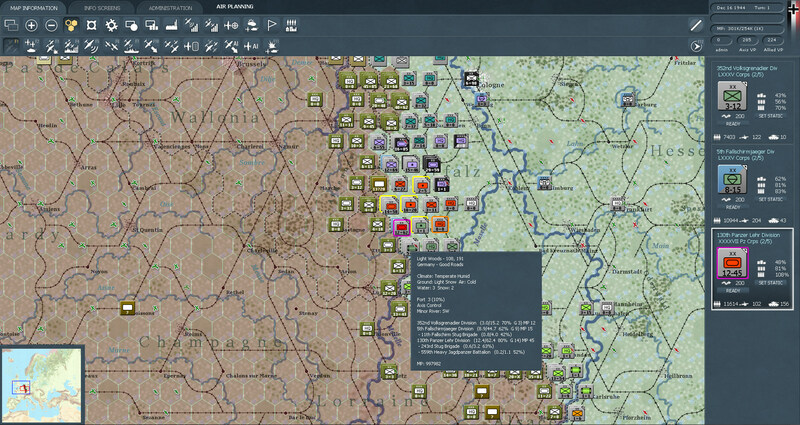 - Play Multiple Campaigns from either the Axis or Allied perspective. - Take Control of any Nation in Sandbox Mode and impact the outcome of the era. - Battle the elements! 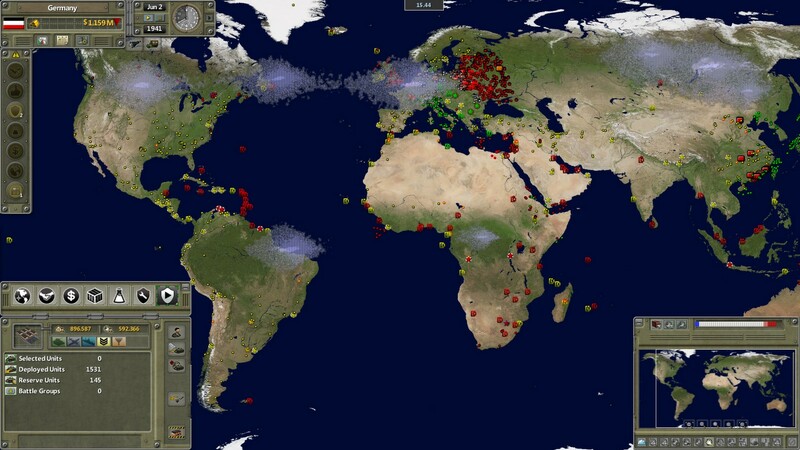 Fully integrated weather model influences battlefield outcomes. - Challenge yourself with Historical Scenarios for a faster-paced gameplay experience. - The butterfly effect… Influence the timeline and outcome of thousands of historical events. - Use Diplomacy, Trade, Espionage, and Intimidation to influence the policies of other nations. - Research new Technologies to give your nation a significant military advantage. - Modernize your economy to support whatever social and military policies you choose. - Sophisticated Real-Time Strategic and Tactical Control of your Military Forces. - Detailed historically-accurate armies down to the Battalion level. - Choose your level of control. Make all decisions or use your Cabinet Ministers to help. Rilasciati da Matrix due wargame 2d classici Piercing Fortress Europa e Mark H. Walker's Lock 'n Load: Heroes of Stalingrad. Lock 'n Load mi interessa poco, farò un pensierino per Piercing Fortress Europa, ma prima aspetto di avere infor più precise su com'è. Histwar Napoleon è stato rilasciato oggi; ho visto i commenti sul forum e sono entusiasti, ma sulla grafica, non ho visto nulla che indicasse un cambiamento radicale nel gameplay. Il terzo titolo della serie Air Conflicts è uscito. Ricordo che Air Conflicts: Vietnam non è un simulatore di volo, ma un arcade, molto ben fatto, ma un arcade. Histwar Napoleon è in pre-vendita dal 21 Novembre e in uscita il 3 dicembre. Ci sono varie versioni di acquisto, comunque il prezzo varia dai 50 euro ai 290 (purtroppo per il momento sembra possibile pagare solo tramite bonifico bancario). La domanda è "ne vale la pena"? Ho già avuto modo di parlare del gioco varie volte sul Blog e la mia personalissima conclusione è "non si sa". Ad oggi, a parte la grafica, che è migliorata tantissimo, non ho la più pallida idea se il gameplay funzionerà in modo decente\sarà migliorato oppure lo stato dell'arte è ancora Histwar1 al suo attuale livello, vale a dire ancora pieno di bachi: non c'è ancora il livello brigata\divisione e far passare un ponte sembra ancora un'impresa titanica. Non esiste una gestione sensata dei corrieri e l'ultima introdotta crea solo una massa di messaggi di feedback ingestibile. Quindi non posso che dire a chi si fa attirare dalla grafica: aspettate e leggete i posts degli utenti che lo usano e guardate cosa dicono. Il gioco è costoso non vale i soldi per il livello attuale di Histwar 1. La nuova espansione per Conflict of Heroes è stata rilasciato l'altro giorno; Storms of Steel è incentrata sulla battaglia di Kursk. Nel frattempo è stato anche dato l'annuncio della nuova espansione del gioco: Storms of Steel.